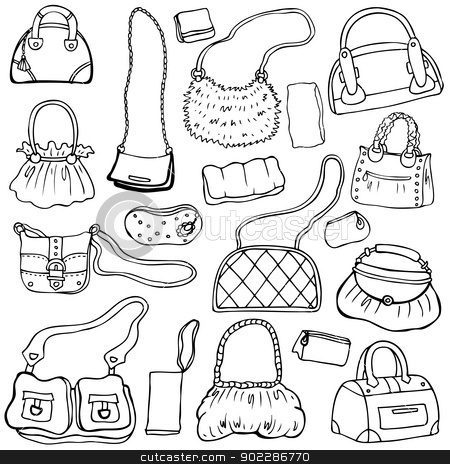 Collection design women's handbags. Hand drawn vector isolated. Set 1.